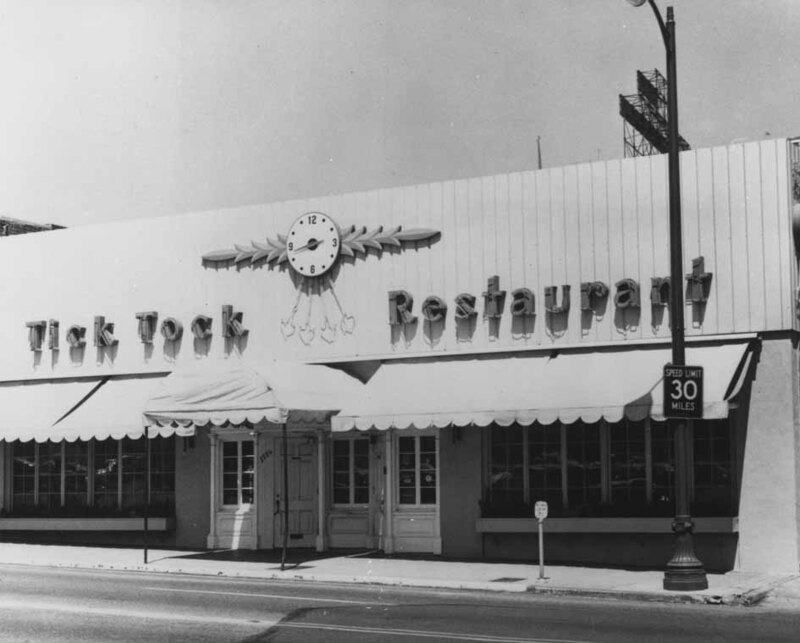 In the 30s and 40s, the restaurant was popular for its three-course dinners; in those days the tick-tock served 2000 customers a day. And if a regular customer didn't make an appearance for a week while, one of the owners would place a call just to see if he or she were okay. Norwegian immigrant Arthur Johnson and his wife Helen opened for business in 1930 and installed an old clock, a family treasure, on the wall. More clocks followed. The final tally of antique timepieces was 48, plus a neon clock as a sign out front. Once you place your dinner order, a beloved basket of sticky orange rolls, sweeping up to be dessert, would arrive. The meal began with two appetizers such as canned fruit cocktail or a glass of tomato juice, Followed by a paper cup full of sherbet. Next were the entrées, such as American tasty's of meatloaf, fried chicken with gravy, roast pork and applesauce, or fried beef liver and onions. Then came dessert - some kind of homemade pie or cake. 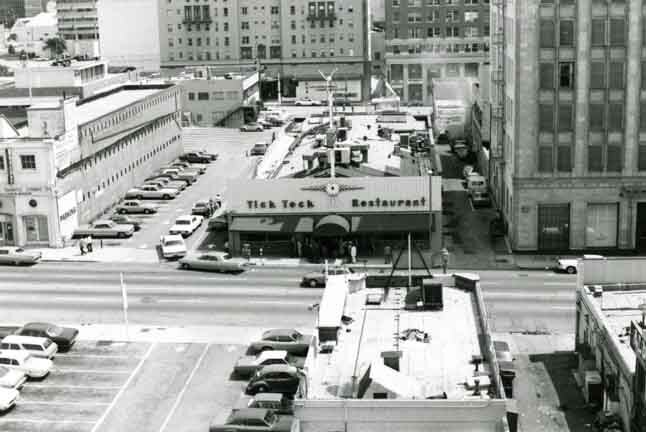 By the 80s, the tick-tock restaurant had become a landmark by virtue of its ability to merely survive in a fast food world. During that decade, you could find Paul “Pee Wee” Herman Reubens eating there. For years, the Johnson's son, Buzz Johnson, managed the restaurant until it closed in 1988. 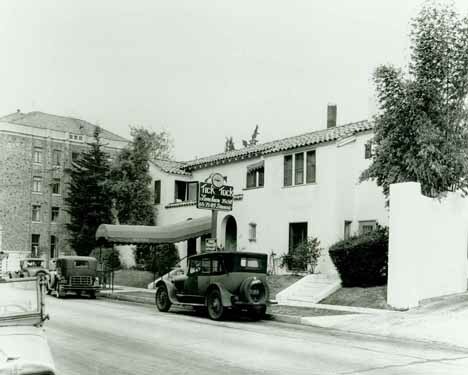 The Hollywood photographs.com website has several photos of the popular tick-tock restaurant. All photographs are available for purchase.